Gardalls's 3620 burglary and fire safe is lare and heavy. Please contact us if you need indoor delivery on this 804 lb safe please call 877-442-9964 or email customer service cs@thesafestores.com. There is an extra charge. 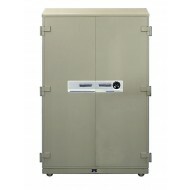 The Gardall 3620 burglar fire safe is the perfect solution to giving peace of mind to your valuables. 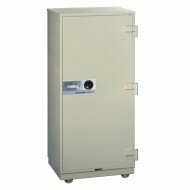 With a two hour fire rating the eight cubic foot burglar fire safe is ideal for medium or large hotel properties. If a fire should ensue the outside temperature will reach 1750F, before the inside will reach 350F. With a host of anti-theft features such as the full locking bar on the hinge side of the door to prevent entry, the Group II combination lock, independent re-locking device and strong steel body, this fire safe will give the assurance needed to securely store your valuables. 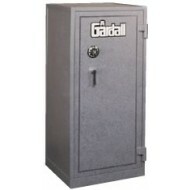 Gardal 4220 large fire and burglary safe provides dual protection. Please contact us if you need indoor delivery on this 871 lb safe please call 877-442-9964 or email customer service cs@thesafestores.com. There is an extra charge. 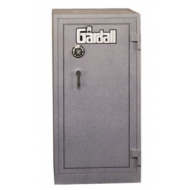 The Gardall 4220 2 Hour Fire Proof Safe is a heavy duty, spacious safe that has been created to protect valuable items from heat damage and theft. Within a two hour time frame the outside temperature is rated at 1750F while the inside temperature does not exceed 350F. Security from theft is also important and the following features include a Group II combination lock, full locking bar to stop removal of hinges, heavy duty rolling casters and an independent re-locking device which have been designed to maximize security against theft. 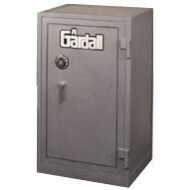 The Gardall 4820 2 Hour Fire Proof Large Record Safe is the perfect solution for protecting jewelry, sizeable valuables and company records from fire damage and theft. It has a fire rating of 2 hours up to 1750F outside while the interior temperatures won't exceed 350F within those two hours. Additionally, the safe has a number of features that will deter theft including the UL listed Group II combination lock, re-locking device to deter attacks, a plated interlocking door bolts and a full locking bar to stop entry by removal of the hinges. All of these features have been designed to give the assurance that this leading safe will keep contents secure.